there are many sites that are available for this obviously there are sites like Godaddy.com which are the main ones, the big boys if you will. There are 2 basic ways to "flip a domain" as its called. the first one involves buy the domain name and without altering it or building a site hold onto it for a year or so then resell it for a possible profit. for this type you have to be pretty much on the ball at realising when a new business or a product is going to hit it big. so you purchase the domain name before the company gets big and then just hold it. After some time you approach the business and state that you have this domain that the may be interested in, but more likely then not they will contact you wanting to purchase that domain. so imagine if you bought a www.apple.com before apple was what it is today... wow. This goes for anything if you know there coming out with a bendable cell phone you would go and buy www.flexphone.com and just sit on it and in time I'm sure Samsung or another manufacture would be emailing you wanting that name. Now the second method which I'm not a huge fan of is purchasing the domain name for a very reasonable price because its just a domain name not a functioning site. Then using your expertise and building it into a fully function web site that is producing steady traffic and it could even be making money. then selling it to at a profit. now the reason why I'm not a huge fan of this method is if you spent all this time developing a site getting traffic to it and treating it like your baby, why on gods green earth would you want to sell it. to me this method just doesn't make sense, but to each his own. Another very important thing that we cant forget here is that its just like bogging, pick a niche and stick to it. Don't just start trying to sell random domains just to make money fast, you will fail miserably. You are more likely to have success with this if you are a expert in the subject you pick. Good example I would not get into selling domains that have to do with make-up because I have literally no idea about it. However if I was selling domain names I would probably pick a technology niche simply because I understand it. also picking a niche that you know and fully understand will also give you a one up on the competition. Here's a link to the best domain and web page sales site I know, I find this one to be user friendly and very useful. 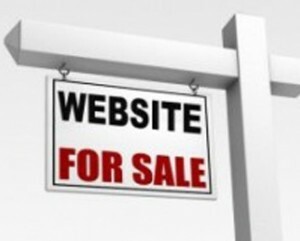 this is one that allows you to buy fully functioning websites. Flippa allow you to simply buy the website. I find this to be quite a nice feature, for anywhere from 200-50,000$ I can purchase a fully operational web page and if its a forum type site I only have to moderate it I don't have to sit for hours and write 500 post a week just to get 3 people to follow my site. these site come everything already set up. so to sum that up the site comes with a previously established traffic flow, some sites already have a steady stream of revenue coming in.